As a parent, it’s your job to keep your kids’ mouths healthy. Finding an affordable dentist in Sweet Water is part of the solution, but routine dental care alone won’t guarantee a healthy smile. Proper oral hygiene to prevent the early onset of tooth decay is essential. If your kids kick and scream every time they see a toothbrush, you’ll have a serious challenge on your hands. Fortunately, there are some tooth brushing tips and tricks that can make it easier to win the battle of the brush. Get your children accustomed to dental care even before their teeth arrive by wiping their gums gently with a wet washcloth. Brush your own teeth in front of your child, and make it look like fun. Your child may copy your behaviors naturally. Offer your child a choice of fun products like character toothbrushes, fruit-flavored toothpaste and flavored dental floss. Add a playful element to the dental care routine. Play music, sing or have pretend conversations with your child’s teeth. Pretend to brush the teeth of your child’s favorite stuffed toy or doll. Associate the act with a pleasurable activity. For example, brush right before a bedtime story. Keep track of brushing activities, and reward consistent behavior. 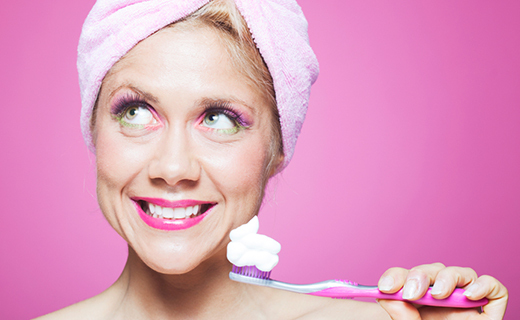 If you’re losing the battle of the brush despite your heroic efforts, consult an affordable dentist in Sweet Water for help. Your dentist and dental hygienist may be able to offer suggestions or assist you in the process of instilling good dental care habits. Even if you do convince your little ones to brush regularly, be sure to visit the dentist regularly to catch potential problems early.